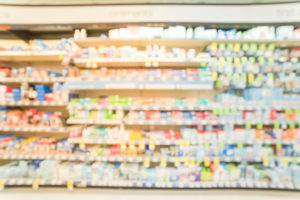 There is no doubt that there are plenty of options to choose from when deciding one what product to buy for dry mouth symptoms. Most of these products claim to be your next “holy-grail”, but their promises fall short when the product stops working almost immediately after use. The market is filled with solutions like lozenges, toothpastes, mouth rinses, melting capsules, and mouth sprays. We get the question, “so what makes Lubricity different?” quite often, and we’re happy to answer this. While many of the products listed above all try to achieve the same end goal of suppressing dry mouth, the way they are formulated and the way they perform on each individual differs. For example, many of these products have long lists of ingredients, many of which are additives, parabens, and ingredients that are ultimately unnecessary to the performance of the product itself. Lubricity only has 5 ingredients: water, sodium hyaluronate, xylitol, sodium benzoate, and potassium sorbate. Not only is the formula simple and straightforward, but the lubrication effect lasts up to four hours. Gone are the days of mouth rinses that only last 30 seconds after use. Dry mouth toothpastes and melts often have flavors, which is not something that people always want in their dry mouth product. That’s why Lubricity is formulated to be flavorless and odorless, and is alcohol, sugar, and gluten free to promote overall oral health and easy to carry around in a TSA friendly 2 OZ and 1 OZ bottles. If you’ve tried one of the many dry mouth products on the market and have had no luck, try Lubricity which is proven to be effective.